Moze Radio said that when he dies, you should not cry for him, but just celebrate his life and that is what is happening. Newspapers, radio and TV stations, social media and everyone are all concentrating on none other than Moze Radio. The Requiem Mass was held at Rubaga Cathedral. The casket bearing the remains of Moze Radio arrived at about 1:00pm and by 7:00pm, it arrived at Kololo Independence grounds for public viewing. 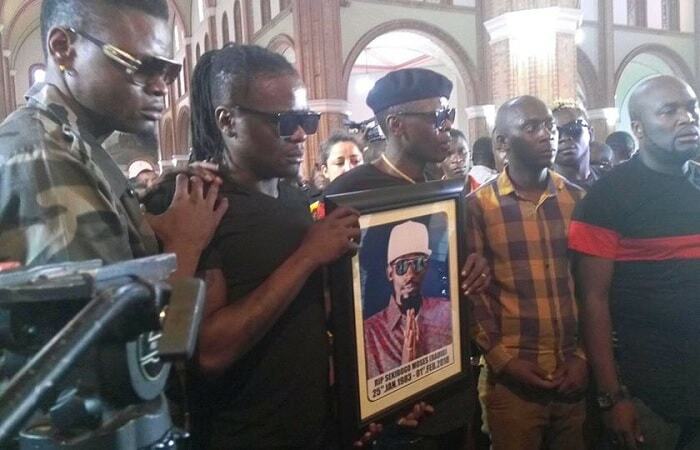 Weasel and Chameleone carried his portrait as the Kampala funeral directors poll bearers led the casket into the Cathedral. "Don't wait to die before you come to church, you spend your money in bars and dish out money yet your families back at home are even lacking the basic amenities." "He also warned them on drugs and alcohol abuse, some of you have more alcohol than blood in your bodies, stay away from drugs because when you do, you will speak to Obama in Luganda and he will respond in Luganda.."
Others who spoke were Moze's singing partner, Douglas Mayanja aka Weasel, who briefly talked about their journey and achievements before breaking down. 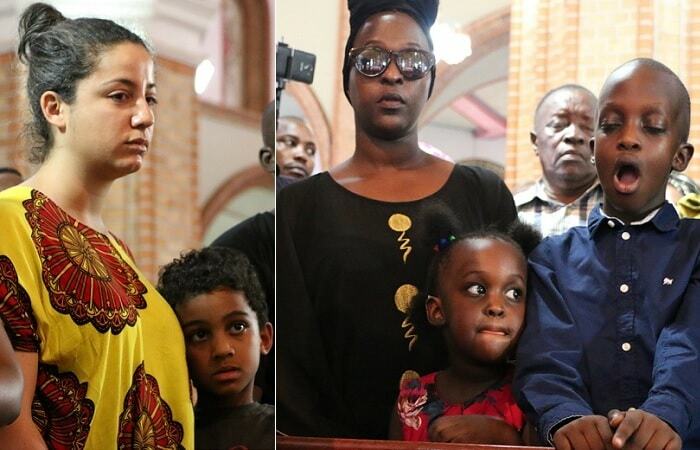 Moze Radio's mom, Jane Kasumba thanked Moze Radio's baby mama's for being cooperative, especially in the singer's final days at the hospital. 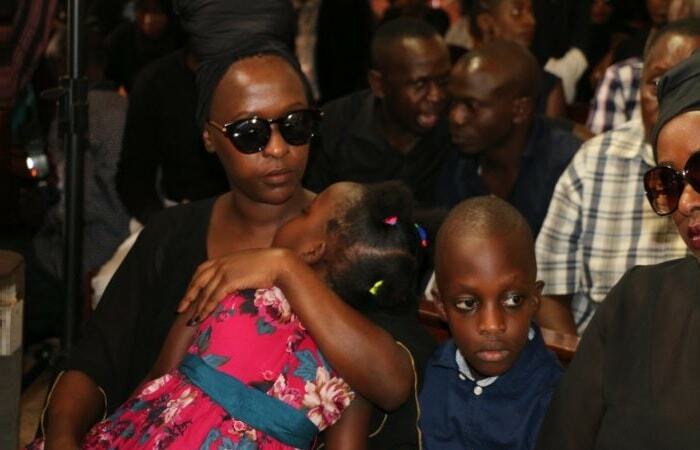 Chameleone told mourners that he was the number one Moze Radio fan because he knew him before any of them, they went through a lot, fought, reconciled and were working together when he died, may God bless him, he concluded. And many others, including the Buganda Premier Charles Peter Mayiga, The Kampala Lord Mayor Erias Lukwago and the NRM Secretary General Kasule Lumumba, who represented government all came out to eulogize the singer who died on Thursday, 01 February 2018. Most entertainment hangouts are playing his music back to back, you can afford to play over 100 nice Radio and Weasel songs. When the requiem service was done, the procession made its way to Kololo Independence Grounds and along the way, Boda Boda guys were fighting with goons commonly known Kifeesi. Sponsored At Kololo, the celebration is on with several artists performing, Khalifa Aganaga has just performed followed by Aziz Azion who was joined by Weasel to do the Lwaki Onumya song. Moze Radio is the first artist to be taken to Kololo and this was because of the thousands of people who turned up. 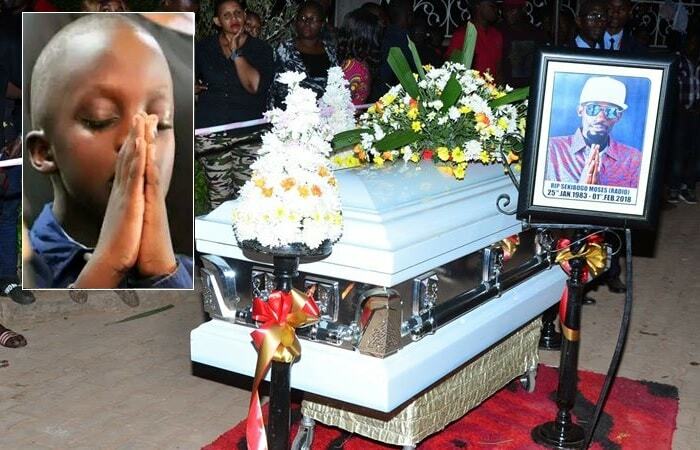 Meanwhile, just like Chameleone's brother, AK47, who died under similar circumstances, his last song was a gospel track dubbed; 'Nze Ndimulokole' and also Moze Radio's was Tambula Nange, also a gospel song.